RadioPoultry had the most liked content! 132,300 That third level... I've only gotten past it once. That was by managing to keep my diagonal lasers from the previous level. Can we submit a score that was achieved after the use of a continue, or is the intention that we start from the beginning each time? 103,100. Got to the third level this time! Fun game, but it's so painful to lose all your amazing power-ups after losing a single life. Reminds me of the several days I spent with Abadox for NES. I managed to finish that one, but only because of the unlimited continues. My dad bought a Leaf a few years ago and loves it. He installed a level 2 charger at his house to charge it more quickly. I've driven it a little, and it is pretty great. He always drives it in economy mode to get the most miles out of a charge. There's apparently a setting to just charge up the batteries to 80% so they last longer, which my dad normally uses. 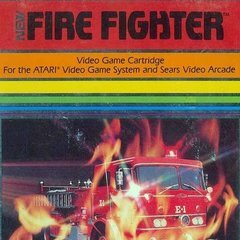 They used to have this game at the roller skating rink in the town where I grew up, along with Snow Bros., Afterburner II, and Gauntlet. I only played it a couple times, though. I realized how quickly this game would eat up your quarters! EDIT: Oh yeah, they had Ms. Pac-man too. I guess what I can do, aside from recording a video, is just pause the game when I have a satisfactorily high enough score and take a picture, then, if I get much farther, take another. Is there a way to see my high score? I think I got 71,700, but as soon as I lost my last ship, I couldn't see my score anymore. As a kid, I used to play (or watch my mom play) a clone of Pac-Man for Apple II called "Snack Attack". The version we had was a bit different from the video below. Ours was probably cracked and only had 2 mazes, and I think the character graphics may have been changed to look more like the actual Pac-Man. Improved my score a little more! 88,680. I discovered a trick: if you gather flags while they are flashing, they add up to your next sequence of flags no matter what color they are. I've added up four flags in a row this way before the flashing ended. In theory, you could really add up points this way. Here is my latest score. 84,820. I just barely edged past kamakazi20012. You can download the newest version of Hatari here: https://download.tuxfamily.org/hatari/2.2.1/ When you open Hatari, it will run without a floppy disk image present. Press F12 to open the Hatari main menu and click "floppy disks". To the right of Drive A, click "browse" and find the Buggy Boy disk image file. Go back to the main menu, select "reset machine", and click OK. The emulated ST will reset and after a few seconds Buggy Boy will finish loading up. Hatari disables joysticks by default, but you can enable them in the main menu (F12) under "Joysticks". For Buggy Boy, you'll want to select Jostick 0, so click the left arrow and switch "disabled" to either "use keyboard" or "use joystick". I'm using keyboard, myself. The default key assignments are the arrow keys for directions and right ctrl for fire, but you can redefine them if you want. Keep in mind you will lose all these settings when you close Hatari unless you save the configuration from the main menu.